This event is one of a total of 18, where Dataflow has assisted with the registration process. This example was a National Dealer conference for about 1,000 guests to take place in the UK. 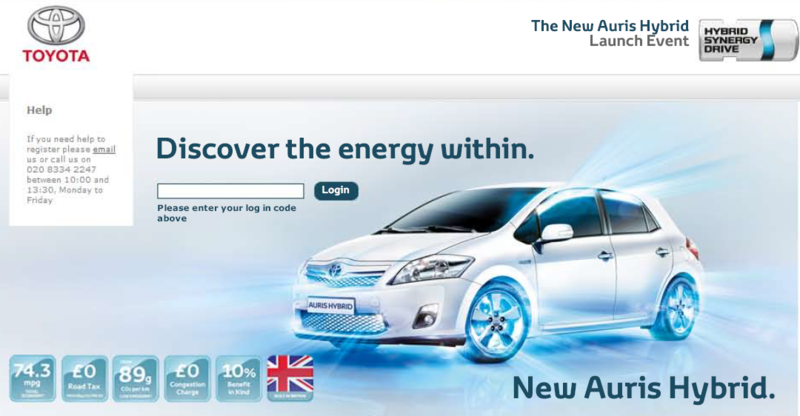 The website was prepared with the Toyota branding guidelines within all of the information and registration pages. Principle Nominations – Dealer Principles were empowered to edit existing staff details and add additional staff. From this list they selected who should be invited to attend through the conference. Flights and accommodation – These were offered to a restricted number of guests based on the distance from the event venue through the registration process. Help Desk – A registration help desk with a unique telephone number and email address was provided to assist with all queries relating to attendance before the event for all pre-registering guests.